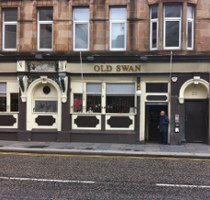 The Old Swan Inn can be found on Smithhills Street in Paisley, and easy to find whether you’re travelling by bus or train. Regular live music, open mic nights, live sport on TV and a number of other events make Old Swan Inn a great pub to visit for some down time! The old Swan is a regular contributor to the events listed on the Renfrewshire Pubs website .. some of their latest events are listed below.